First, the obligatory disclaimer: LEGO sets do not necessarily feature movie-accurate details, so it can be impossible to tell what is or is not a spoiler. 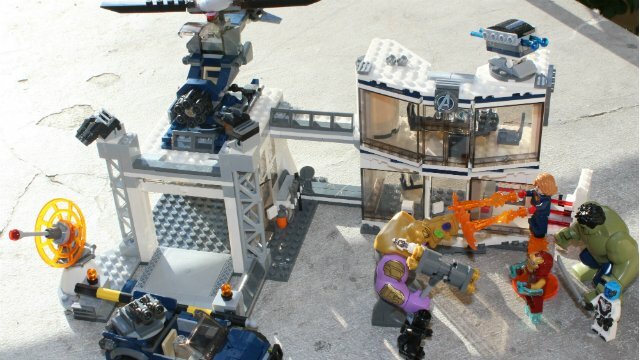 That said, if you don’t even want to think about the possibilities a location-based LEGO Marvel Avengers toy might imply, avert thine eyes! There are one or two details herein that seem like they could be significant for Endgame. 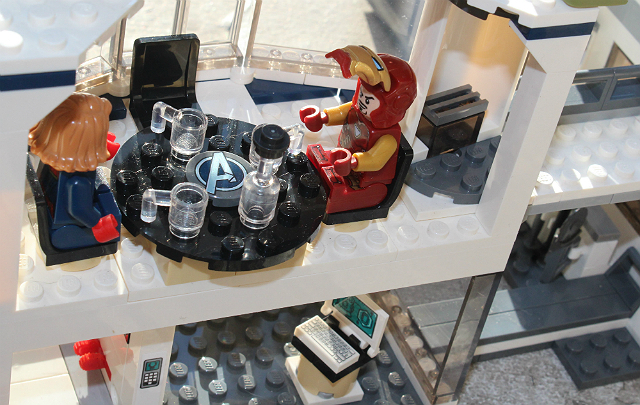 This set is basically a mini-version of Avengers HQ, featuring a carport/heliport, lab, and conference room. Thanos and an Outrider are here to attack it, and Hulk, Ant-Man, Captain Marvel, Iron Man, and Nebula are here to defend. 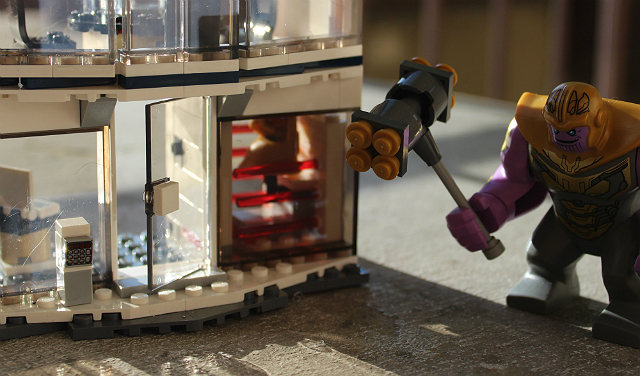 In building the set, you quickly see why Thanos would attack here: the Infinity gauntlet is in the lab. Tellingly, it has only two of the six stones in it. 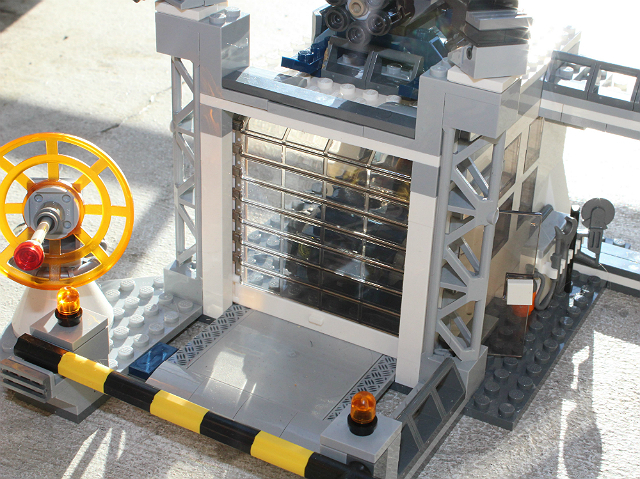 You can open one of the “laser”gates to remove it, but there’s also a pull-away section of wall to allow for Thanos to pull a Robocop move. The conference room upstairs has a revolving door, and a drinks table that hides a secret weapons compartment. Not that these particular heroes really need guns. When you park in an Avengers garage, you get a working garage door, and a barrier arm that can be manually raised and lowered. The jeep includes stud-shooters, as does the headquarters itself and the helicopter (which has a bigger, gatling-style variant). 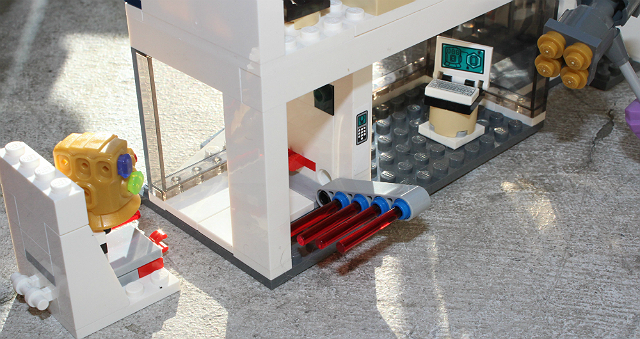 And seriously, if this is your first experience with one of these LEGO guns, as it was mine, be careful! The studs that get fired are super-small, like choke-danger small. Ergo, if you fire them in a cluttered house, good luck seeing where they land. 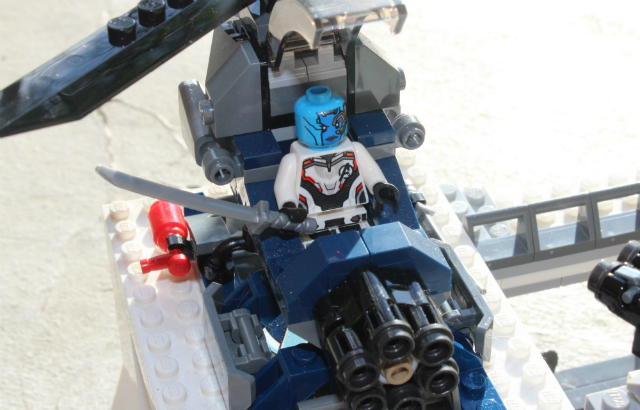 The helicopter also has storage space for a fire extinguisher and Nebula’s katana. Yes, she has a katana now. Power tools including a buzz saw are also available outside the carport. My set contained two Ant-Man micro-figs, just in case you lose one. The Hulk and Thanos are new for 2019, and their arms attach with connectors, which can get weird. (Yes, they both can wear the gauntlet.) The Outrider has a back attachment for extra arms, totally covering up his bank-print. Tony has two faces: one lit up by his helmet lights, and another more normal. The “sonic boom” style repulsor blasts he holds are designed to fire when you push them inward, and they do so very well. Again, be very careful about losing them. Maybe this scene happens in the movie. 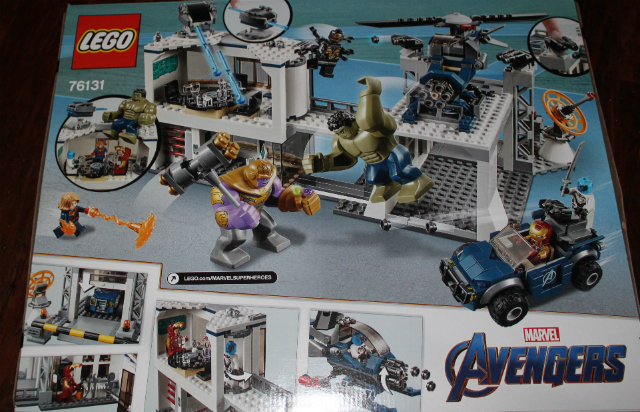 Or maybe LEGO just wanted to do an Avengers HQ and needed to add a “bad guy attack” element to give it a play pattern. Whatever the reason, it’s a nifty way to get a headquarters full of heroes in one go. This set retails for around $100, anywhere LEGO is sold.